Gordon Low Water Storage Tanks for Rainwater Harvesting. With water resources becoming more scarce as a result of climate change, it makes both economical and environmental sense to consider harvesting rainwater run-off from buildings and greenhouses. Gordon Low Products Ltd are a leading UK water tank liner manufacturer and supplier of EPDM and Butyl Rubber water tank liners, above ground steel water tank kits, drinking water tanks and replacement water tank liners. We supply a large range of surface mounted water tanks for water management in horticulture, agriculture, sports ground irrigation, etc. and for fish keeping and aquatics. Our tank liners are also supplied to Aid Agencies where compact shipping and easy site erection is essential for setting up emergency water supplies in disaster areas and irrigation schemes in developing parts of the world. Harvesting rainwater is now more popular than ever. 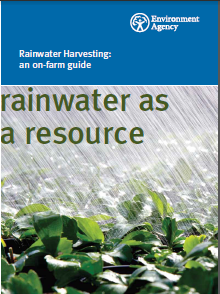 Using harvested rainwater reduces reliance on Mains Water Supply. Stored water is often used for live stock and irrigation, as well as equipment cleaning and some domestic uses. Surface mounted Water Tanks are included in the DEFRA Water Technology List and as such may give businesses the opportunity to re-claim costs under the Capital Allowance ECA scheme. 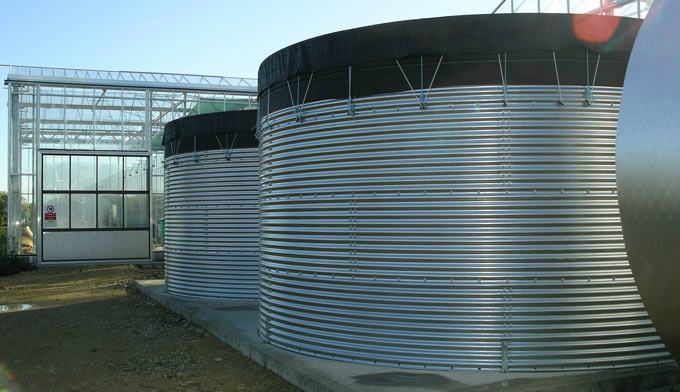 Constructed from cold rolled galvanised steel sections the tank kits come complete with a tailor made rubber liner in a choice of 0.75mm or 1.0mm SealEco EPDM, and 0.75mm or 1.0mm Butyl Rubber. They provide economical, permanent water storage solutions with capacities ranging from 1,600 litres to over 865,000 litres. The Tank Kits comprise the required steel sections and fittings including anchor brackets, wire tensioner, capping and clips, plus the specified grade of rubber liner. This WRc approved material has been tested to the Water Regulations Advisory Scheme Standard BS6920 for Odour/Flavour, Appearance of Water, Growth of Microbes and Extraction of Harmful Substances and passed all tests. To complement our tank kits we supply steel tank roofs, floating covers and various other accessories such as outflow pipes, valves and filters.